You could have car insurance but that doesn’t mean that the insurance company will pay out if you have an accident because there are ways in which you can invalidate it by not understanding the fine print (i.e. the terms of the insurance contract). We spoke to Judith Harvey from IAG Insurance to find out how easy it is to become an uninsured driver and why won’t your car insurance company pay out your claim. Cars are not insured when they are driving on a race track simply because the risk of driving cars fast in close proximity to each other is a high-risk activity that insurers generally don’t want to carry. Most drivers aren’t experienced enough to handle the high speeds and most road cars don’t have components designed to withstand constant punishment, therefore, there’s a large risk of damage. What about if you attend a driver education session at a race track? 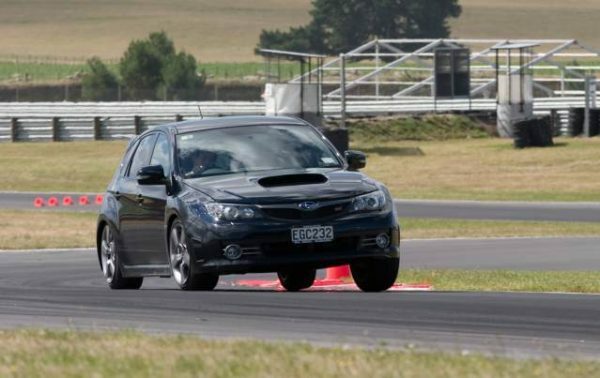 Driving a Subaru WRX around Bruce McLaren Motorsport Park, Taupo at a press event. You can see a line of cones laid in the background as a teaching aid. Usually, the exclusion doesn’t make any differentiation with regards to the activity being done on the race track – if it’s on a race track and a loss occurs there’s no cover. However, if you are attending a driver education day being held on a race track, contact your insurer to allow them the opportunity to consider your needs. Often the insurer will want to assess what the driver training entails. In most cases, if the driver training relates to better driving practices on the road it will be supported. However, if the training is aligned with driving a car fast safely or race car driving, the request will most likely be declined. Private motor policies are designed for domestic use by private individuals. Commercial use of a vehicle brings into play different risks. If a privately insured vehicle is used for commercial purposes – such as delivering pizzas, attending sales meetings or driving part-time for Uber then you may be falling outside the acceptable uses of your policy. The policy will explain which uses are not covered, for example, travel related to real estate sales, insurance sales, mortgage broking, courier delivery, etc. If you do start to use your vehicle in a sales role, making deliveries (such as a courier), carrying fare paying passengers or renting your vehicle out be sure to contact your insurer to ensure you have the right kind of cover in place. What type of work driving is acceptable? Simply commuting to and from work – even carrying passengers as part of a regular car pool who may contribute to the running costs of the car – is absolutely acceptable. If your work activity is not specifically excluded by your policy, pay attention to whether your policy excludes uses like carrying goods or samples for sale or plant and machinery. For example, if you have to drive to take your laptop to be repaired, it’s highly unlikely that it will be excluded, but if you’re driving with your laptop to a business meeting you might not be insured. If you have any doubt, call your insurer to discuss your policy coverage. Many policies exclude cover if the vehicle is being used in an unsafe or unroadworthy condition, particularly if the condition of the vehicle contributed to the loss. It pays to keep your vehicle in a warrantable standard at all times and pay particular attention to the tyres, especially if your vehicle has a 12-month WoF check schedule. If the insurance company can prove that your bald tyres contributed to the accident then they may not pay out. It’s usually a condition of your insurance that your car must have a valid WoF. However, if it wasn’t a contributing factor and there were no other defects, then it’s unlikely a claim will be denied. If there is no WoF, then the accident will be investigated and that will delay the payout. If a problem was noted the last time you got a warrant, and that problem contributed to the accident, the insurance company could look closely at whether you should be paid. Possibly the biggest issue that arises is non-disclosure; what does an insurer need to be told about? Pay careful attention to the questions you are asked at the formation of the policy; if you don’t fully understand a question you must ask for clarification. If you are unsure whether some information is relevant to the answer then you should assume that it is and give the insurer the opportunity to assess the information and respond to it. The risk of not giving the insurer the opportunity to consider the information the customer has is that the information is material to an underwriter setting the terms and the policy might be declared void – meaning that it never existed. The effect of this is that there was never a policy to be claimed against, and that means that you will not have any cover for your vehicle. Any premium that has been paid by you will be refunded but the flip side of this is that any money that has been paid out to settle claims will need to be repaid to the insurer. By being fully open and honest with your insurer you give your insurer the best opportunity to find a coverage solution that best fits your circumstances and provides you with certainty that should you have the misfortune of needing to claim, you know where you stand in terms of your policy. The flip side is that if the cover offered doesn’t meet your needs, you have the opportunity to find some that does. It’s far better to sort these matters out prior to a claim – once the loss has occurred, there’s little opportunity to remedy matters. These are placed on a policy to restrict cover only to when drivers who have been nominated to the insurer are driving the vehicle. These limitations are usually placed on vehicles an insurer regards as higher risk such as modified cars or high-performance cars. The restricted driver endorsement is usually there to prevent anyone and everyone driving the vehicle mainly because an insurer wants to be sure the drivers are people who have the driving experience to handle the car and as some measure to prevent ‘testing the limits’ by associates and friends of the insured. The restricted driver endorsement gives the insurer the opportunity to assess the risk associated with a particular driver/car combination and set terms if it feels the risk is acceptable. Allowing a driver to drive a vehicle with such a restriction in the policy who has not been accepted by an insurer means that should a loss occur, the loss may not be insured. An area of confusion that often arises is what is a modification? A modification is usually considered a change to or addition of something that falls outside of the specifications of the vehicle when sold new. In very general terms a modification is usually attached to or built into the vehicle so that it forms an integral part of the car. There are some exceptions such as tow bars and roof racks which are usually regarded as accessories. For example, if a car was sold new without a turbo and one was added later, this would be viewed as a modification. An accessory is usually something that can be added to the car but is not permanently attached to or built into it and is not an integral part of the vehicle. Such items may have a use or function outside of the vehicle. Some examples of these would be a portable GPS navigation unit or children’s car seats. In some cases, items that have a use outside of the car such as phones, MP3 players and so on are considered ‘personal effects’ (things that are primarily designed for use by, on or about a person) will need to be covered by a contents policy. Options produced by the vehicle manufacturer that are offered by dealers when the car is sold when new are not considered modifications. Replacement parts of the same specification as those that were issued with the car when sold new are not modifications. The best course of action to take is whenever you make a change to the car or add something to it, call your insurer to let them know what it is that has been done. If the change is material to the terms and conditions then you’re allowing the insurer to consider their position with regards to what you’ve done. Additionally, you will have the surety of knowing that having given the insurer the opportunity to respond, what-ever their response is will be the cover you have should you need to make a claim. If the cover the insurer decides to offer you isn’t sufficient to your requirements, you have the opportunity to look elsewhere. If you’ve modified your car, do you need to adjust the sum insured? Declaring modifications and accessories to your insurance company gives you a chance to adjust your sum insured (i.e. the maximum amount that will be paid to you if you suffer a total loss). This means that if your car is written off or stolen and not recovered, the value of your modifications or accessories is properly captured by the sum insured. However, be aware that your policy might not provide a ‘new for old’ type of cover, therefore the value of the modifications shuld be their secondhand value. If you haven’t paid the premium, then you aren’t insured. Make sure that you pay before it’s due just in case something happens. If you do any of the following and have an accident where it’s found to be a contributing factor in the accident, the insurance company might not pay. The insurance company will usually decline the claim if your actions are determined to be ‘reckless‘, i.e. it depends on the circumstances. Leaving the scene of an accident (if contravening the law). The following actions are unlikely to see your claim declined the first time, but if it happens a second time an insurance company may decline it on the basis that you are a slow learner! If you let your pet roam free in your car and it distracts you and you have an accident. If you leave your car unlocked with the keys in it, this could be seen as reckless. If you have some other visual obstruction and this is deemed to have caused an accident. While an insurance company might not contest a claim against your fluffy dice, having fluffy dice is not a good idea. If you are wearing inappropriate footwear such as extreme heels, platform shoes or jandals (note: if you’re travelling to the UK, insurance companies will decline claims for accidents caused by inappropriate footwear). 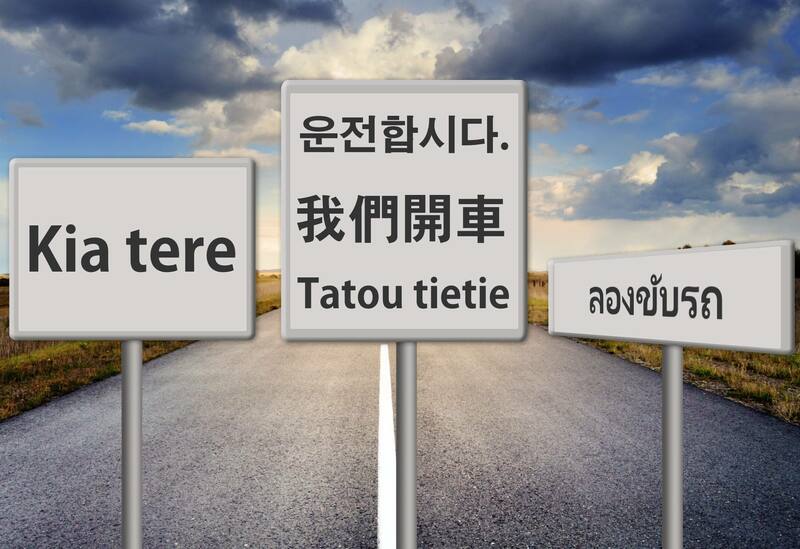 ‹ What language can I take my driving test in? What language can I take my driving test in?